I’m excited to say that I’ve now started a new fantasy series. My Cavalier series was the traditional archetype based on familiar characters and plot lines that you might see in Tolkien or Dungeons and Dragons, and this was purposely done as I really enjoy those types of stories, creatures, and concepts. But for those who want something different, I might have something for you. Now I want to try my hand at a different fantasy story. So I’ve been working on world building and my magic system, two things that are difficult to make unique in a fantasy story. I think I’ve found something pretty cool and I do not think it’s been done before, although I’m not sure as there are so many fantasy stories and ideas out there that my idea might not be as unique as I think. I have just started this endeavor so it will be a while before the first book is out. I’m not actually writing anything yet, just planning and creating. I want to finish my Cavalier series before I put pen to paper for this new series. I just wanted to let everyone know that a new series is in the works. Book three is almost here! I’m still working on the final editing but it’s nearly done. Soon I will be ordering proofs and then I will do the final editing before publishing. I think the book should still be available in June or July. I’ve attached a picture that I thought was pretty cool. 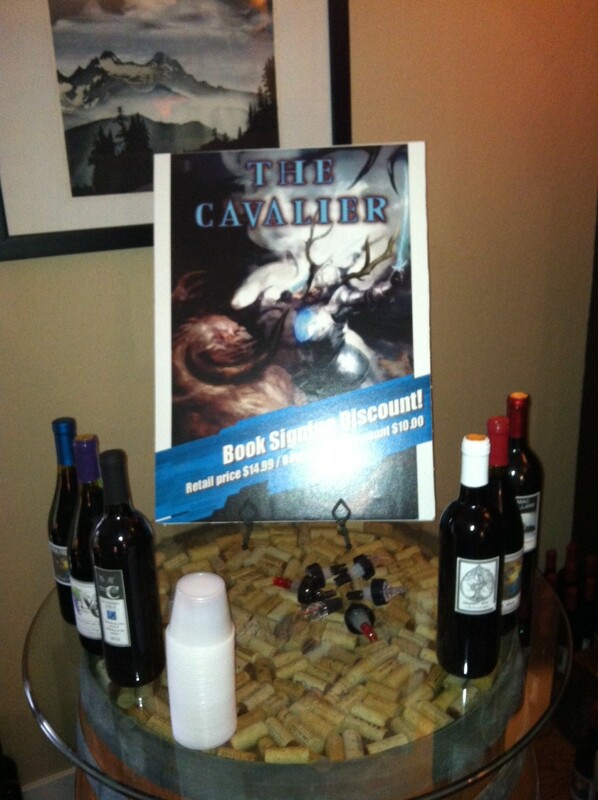 I had a wine tasting fundraiser where I successfuly raised enough money to pay for the cover art for book three. It was a lot of fun and I’d like to thank everyone who came and supported my publishing efforts.